For as long as I can remember, dogs have always been a big part of my life in one way or another. I think I always knew, that my love of "Man's best friend", would lead in later life, to a full blown passion and involvement in some way. 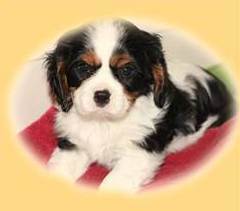 About 12 years ago, and nearing retirement, I decided it would be a breeding program with Cavaliers, who completely stole my heart some years prior. 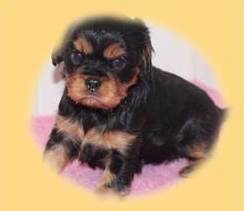 Davmur is not a kennel as such, and out of choice, I do not show my dogs. I live in country Victoria, 50 minutes north of Lilydale, on a small property with my husband (and his 3 dogs!). Here our 4 legged friends live with us as part of our family. They have ample space to run and play to their hearts content, and spend each and every day, knowing they are very much loved, cared for and protected, by their human family. 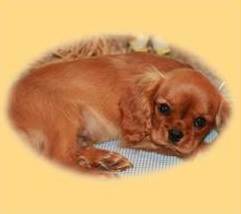 I only breed with healthy, sound dogs which have been tested for the health conditions, sometimes found in Cavaliers. When there is a litter in the Nursery, I spend endless hours, making sure Mum and her babies don’t want for anything...a very pleasant task indeed!